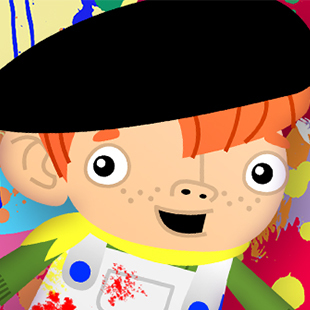 Vinnie, a talented yound painter, explores famous works of art and shares it with the budding artists in your home! In each episode, the spirited painter jumps inside a masterpiece with all his gear in tow. Once there, Li’l Vinnie begins to create his own work of art: drawing new objects, coloring them and playing with all the elements he paints. At the end of each apisode viewers learn the name of the masterpiece and the famous artist who created it! It’s baby’s first introduction to works such as Vinvent Van Gogh’s Sunflowers. See what time Li’l Vinnie’s Art is playing!